FORT WORTH, January 12th, 2012 -- The Lockheed Martin [NYSE: LMT] F-35 System Development and Demonstration 2011 flight test program resulted in the completion of more test flights and test points than in any year. The 2011 flight test plan called for the accumulation of 872 flights and 6,622 test points by Dec. 31. For the year, the SDD program flew 972 flights and tallied 7,823 test points. 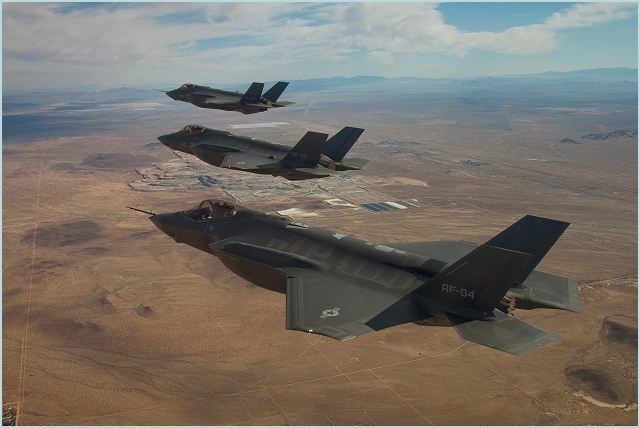 The F-35A Conventional Takeoff and Landing (CTOL) variant flew 474 flights and accomplished 3,600 test points. The F-35B Short Takeoff/Vertical Landing (STOVL) variant accomplished 333 flights and 2,636 test points. The F-35C Carrier Variant (CV) flew 165 flights and tallied 1,587 test points. Along with this, the STOVL executed 268 vertical landings. The cumulative 2011 milestones were achieved through a combination of planned test flights and test points along with test flights and test points added throughout the year. The overall F-35 SDD flight test program plan calls for the verification of 59,585 test points through developmental test flights by Dec. 31, 2016. Through 2011, the flight test team has accomplished 12,728 test points or 21.4 percent of overall testing requirements.